This song is a favorite, and it made the set list this weekend. I heard Kari Jobe’s performance first, but Brian Johnson’s arrangement has become sweet, sweet worship for me. Johnson recorded a new radio version; I happen to love this softer, marinating experience. Have you ever wanted to just sit in a song for a few loops? This is one of those for me. I hope you like it, too. 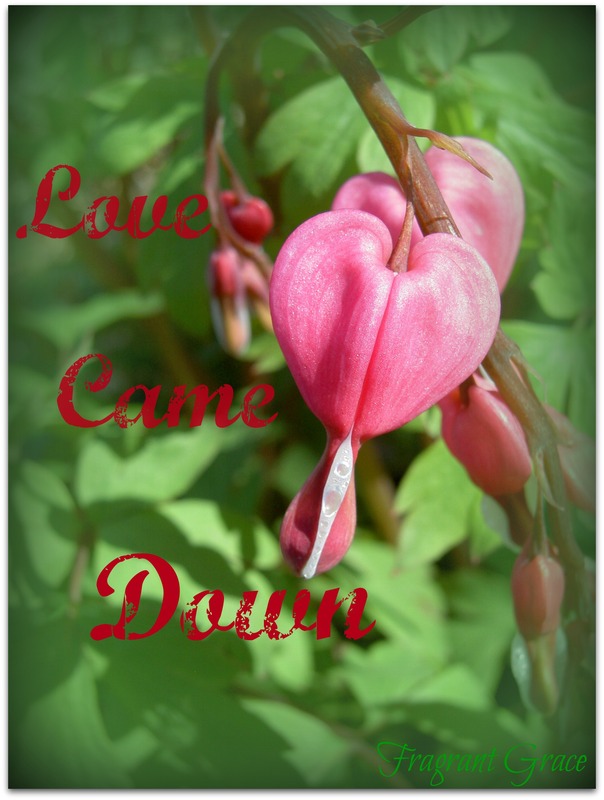 Love came down and rescued me. Love came down and set me free. The sweet fragrance of grace wafts all around these rich lyrics, doesn’t it? Here we are, just a short time before we remember the beautiful Friday that changed everything. Hopefully, we’ll begin to turn increasingly softer hearts toward the sacrifice on the cross more regularly. We remember you, we whisper. After all, Christmas wasn’t that long ago. Born an infant just like all of us, you “kept increasing in wisdom and stature, and in favor with God and men” (Luke 2:52 NAS). Jesus, you were a man, but you were always more than a man. You were never just a man. May we never sink into confusion! You, Jesus, are God. And you love us (John 3:16). You love us that much! He had every holy right and the power to condemn. We are guilty under the law, and what we deserve is clear (Romans 6:23). Love came—and hung on a tree. And we heard about that kind of crazy love—love that sacrificed for others before they could know about it and before they would ever deserve it. “While we were still sinners” (Romans 5:8). We remember, we whisper again. Love came on a rescue mission. He offered a rescue. Whatever this life offers, he offered something different, something much greater. Something holy. And amazing! A whole other unimaginable lifetime with the one who lived to love us is waiting. Doesn’t that make you think? Jesus’ whole life was love—the ultimate sacrifice—just so his infinitely difficult rebels could be saved from horrible end and restored to their intended relationship. Thank you, Love, we remember! Talk it over with him. What happens when you sit with how Jesus feels about you? It can be a powerful thing to think about. Love and grace—they’ll move you. Jesus, you came to rescue me. When I realize you lived your love for li’l old me, I begin to “get it,” and I want to live love, too! I only live it when I start to grasp how much you loved me. In this quiet moment (and frequently in the days yet to be written), show me just how you feel about me—the strength and depth of the love you have for me. Thank you for loving me! I love you. Ahhhhh, I know that longing! I remember precious music in a group like that. It’s been a long while since a whole group could sit still long enough to enjoy that experience together. Busy, busy lives and all…. God’s love makes us here…living in His grace. His love came down… His name is our Savior Jesus. A full of love post..and thank you so much for liking my post. Jesus bless you my sister in Christ. 🙂 Thank you! Blessings to you.